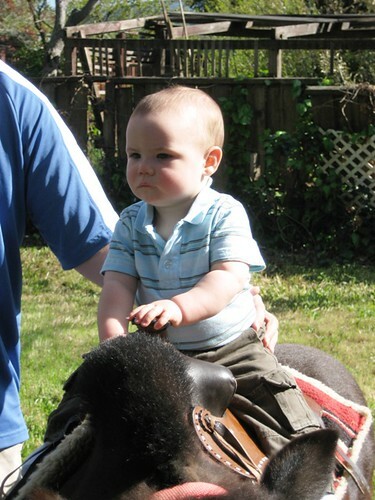 Mason recently got a chance to ride a pony at his friend Maggie’s birthday party. 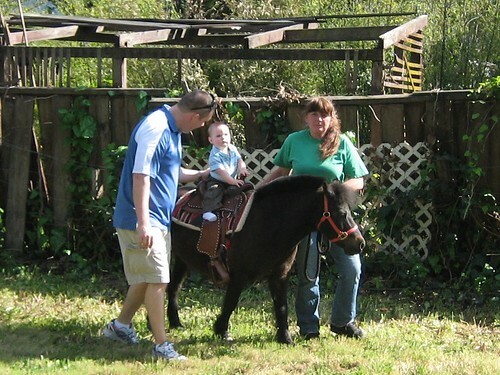 He was pretty timid throughout the ride, not quite sure what to think of “Shorty the Pony”. 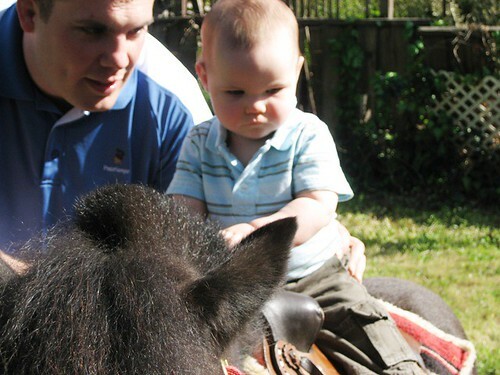 He is his father’s son, right down to the polo shirt and cargo pants. I’ll entitle this photo “The Thinker”. Check out his adorable rubber-band wrists in this one. I’m sure going to miss those fat roles when he gets bigger. 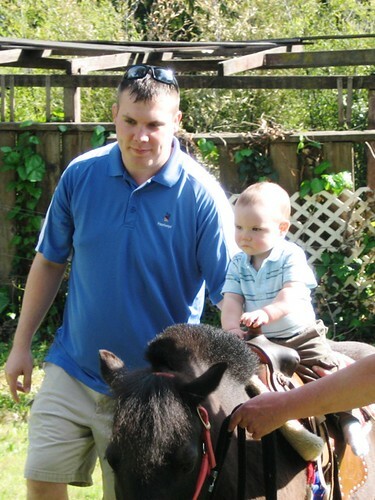 This entry was posted on April 9, 2009 at 12:22 pm	and is filed under Family Adventures. Tagged: Mason. You can follow any responses to this entry through the RSS 2.0 feed. You can leave a response, or trackback from your own site.